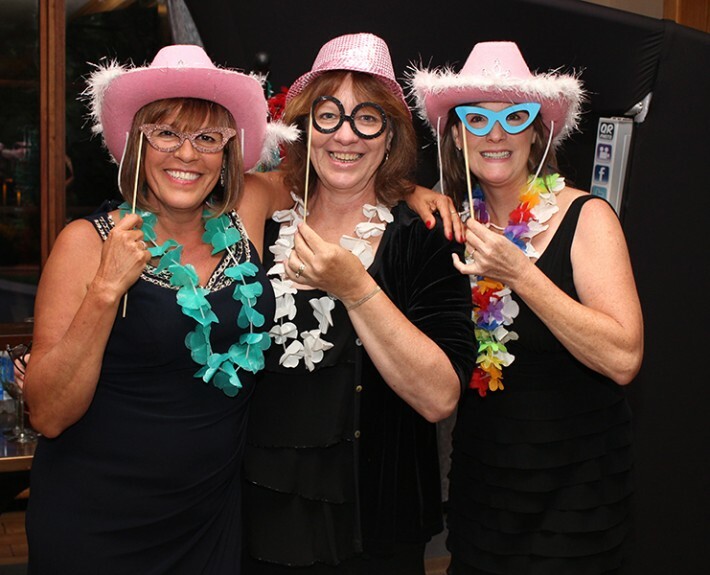 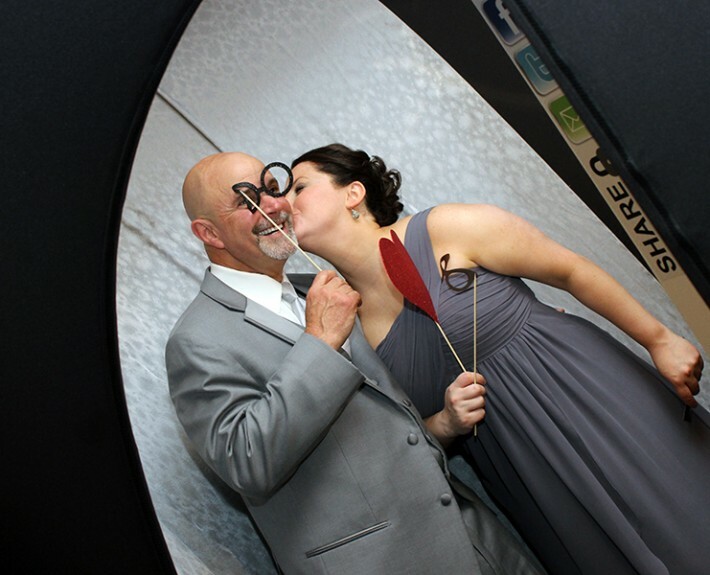 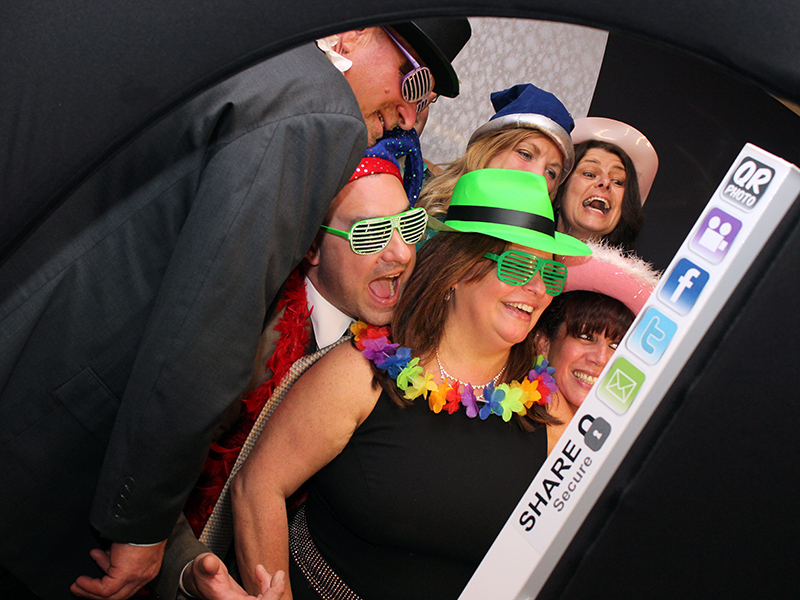 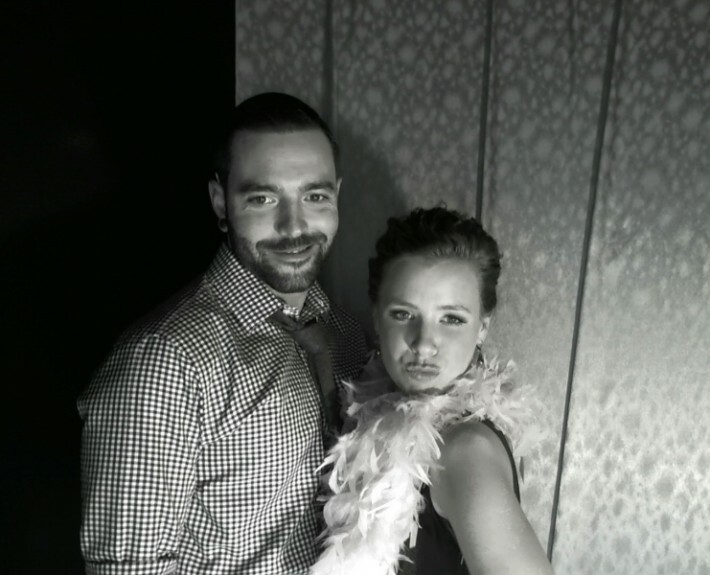 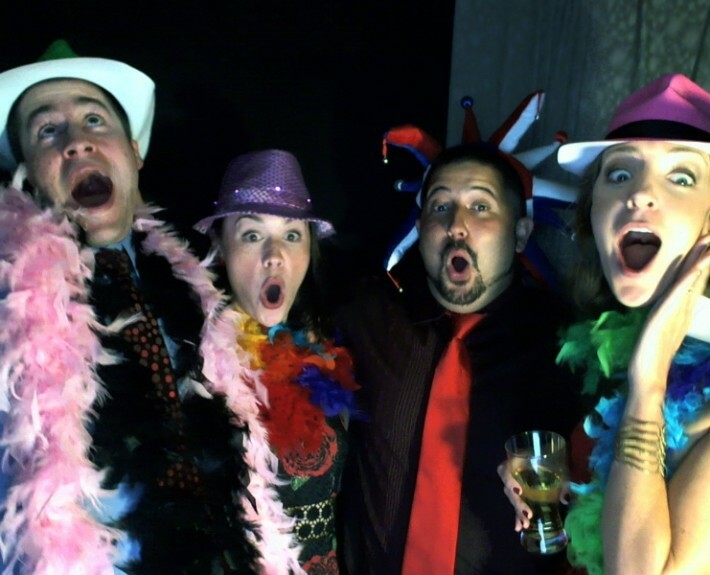 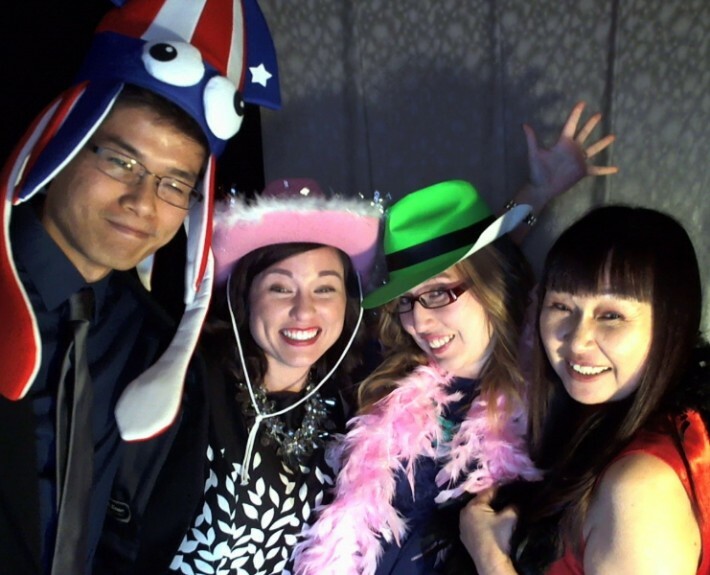 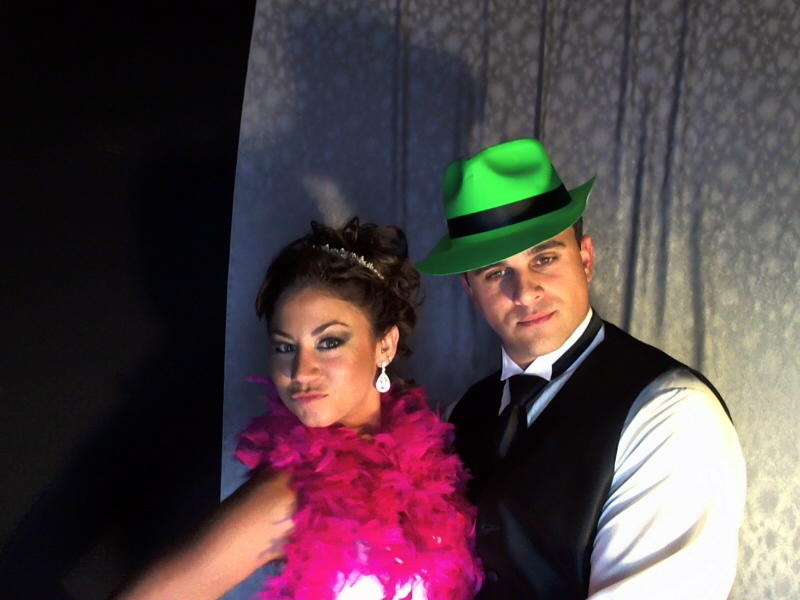 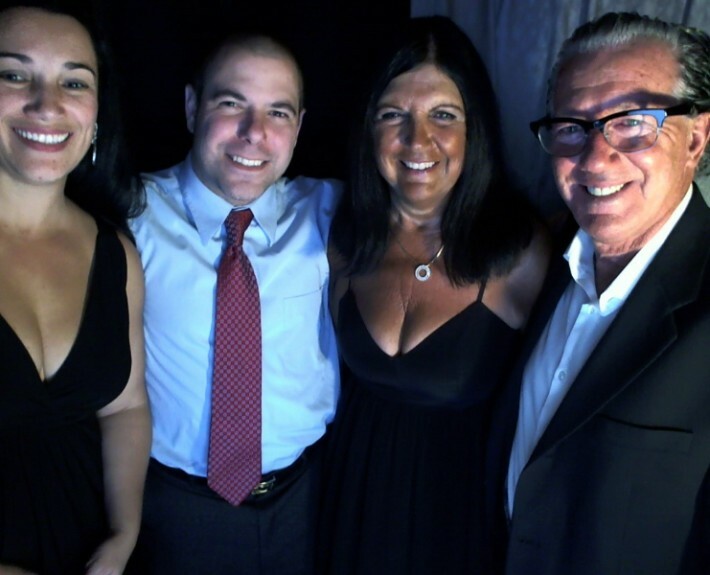 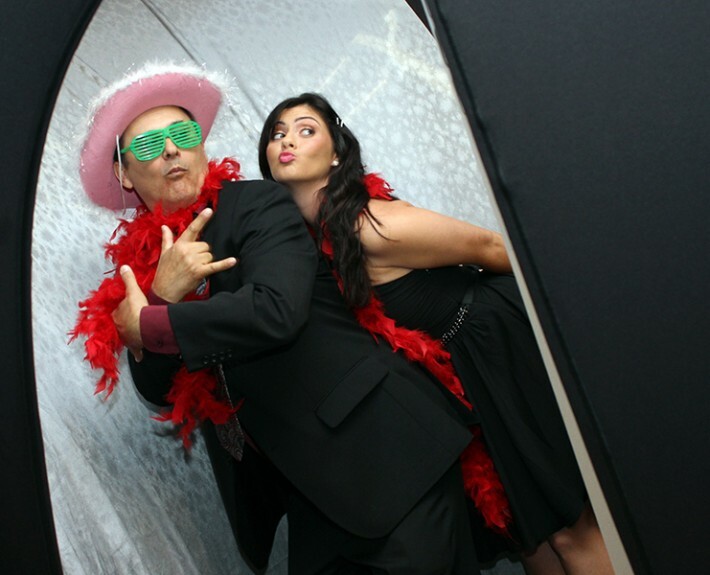 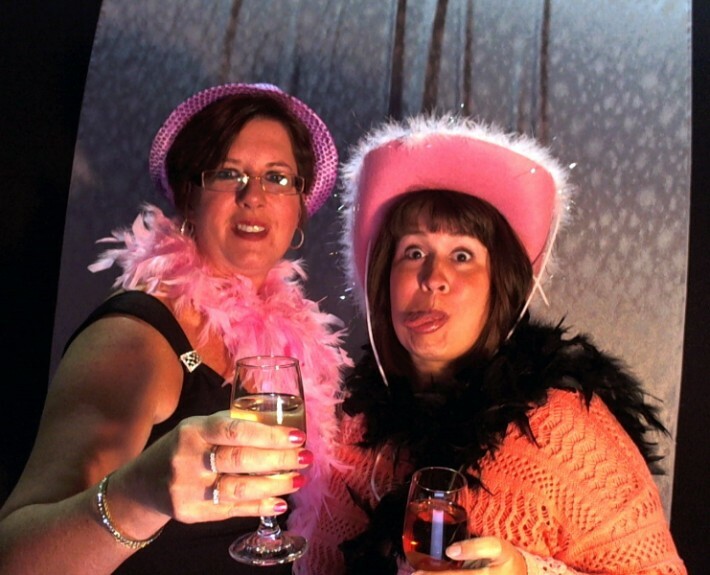 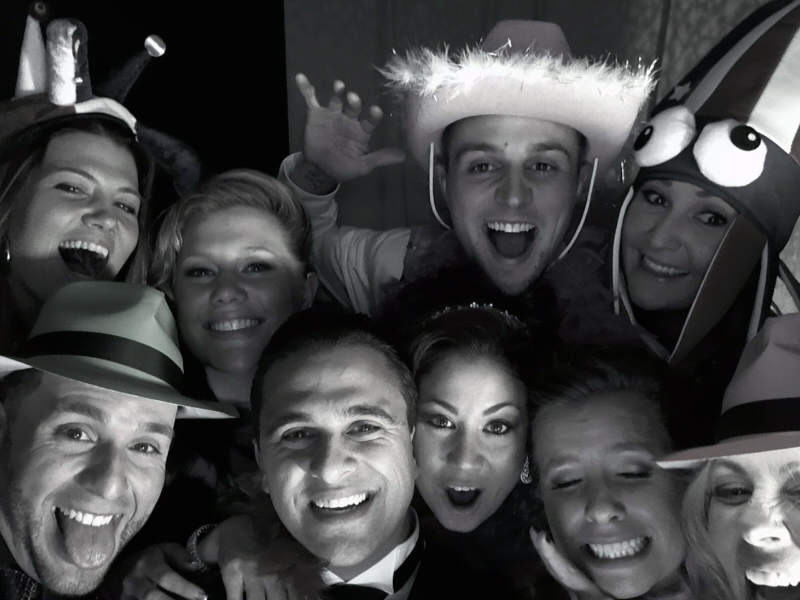 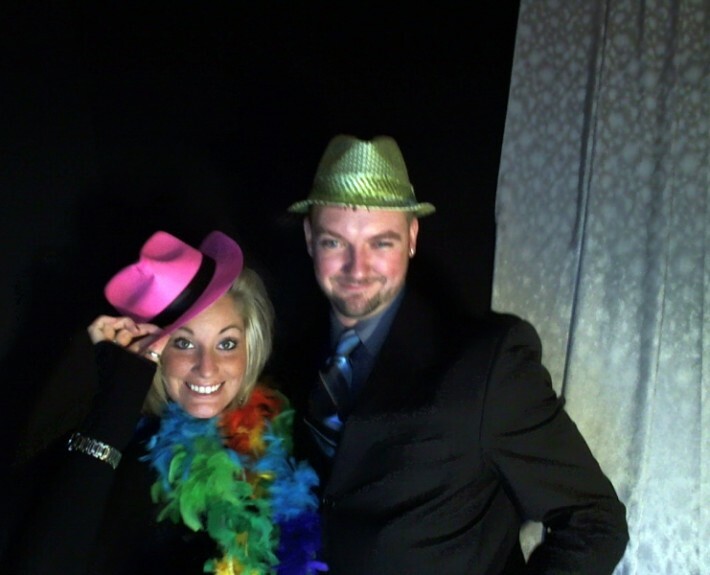 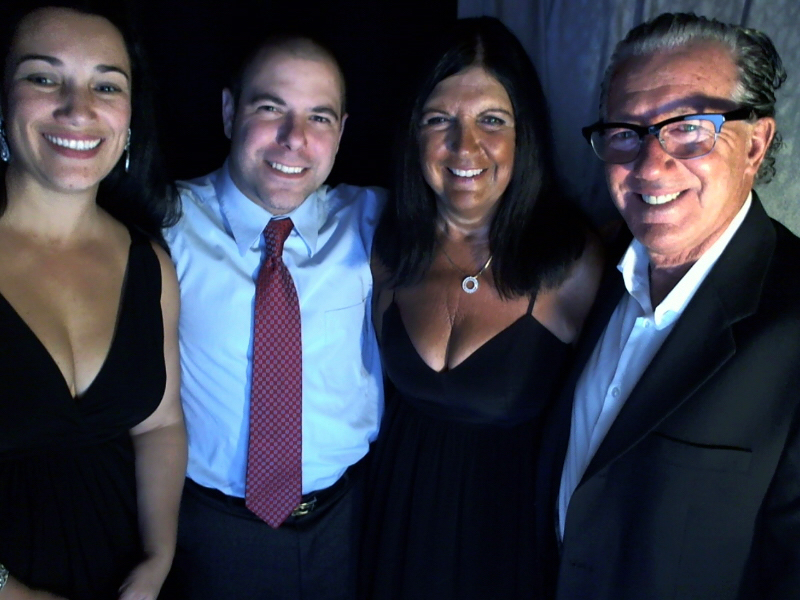 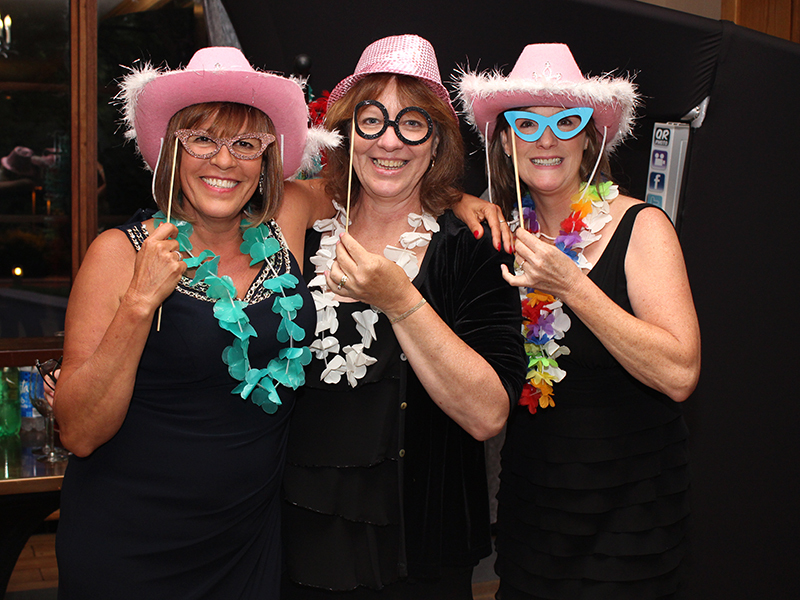 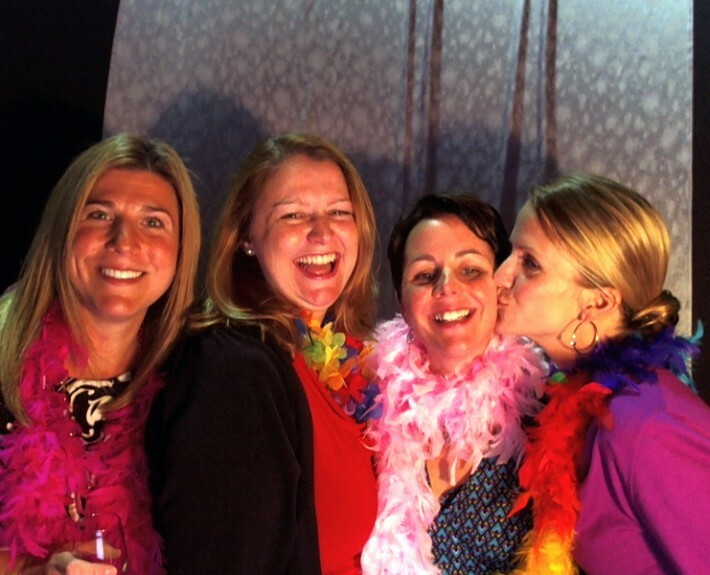 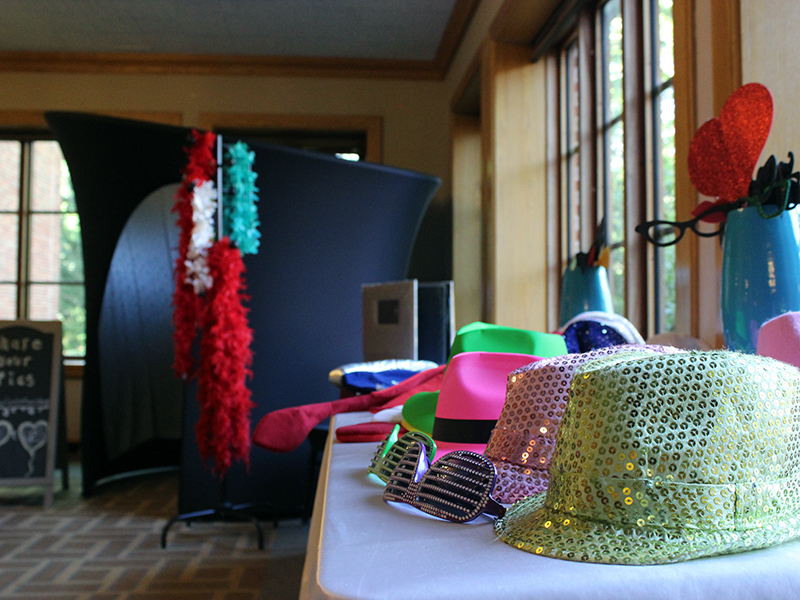 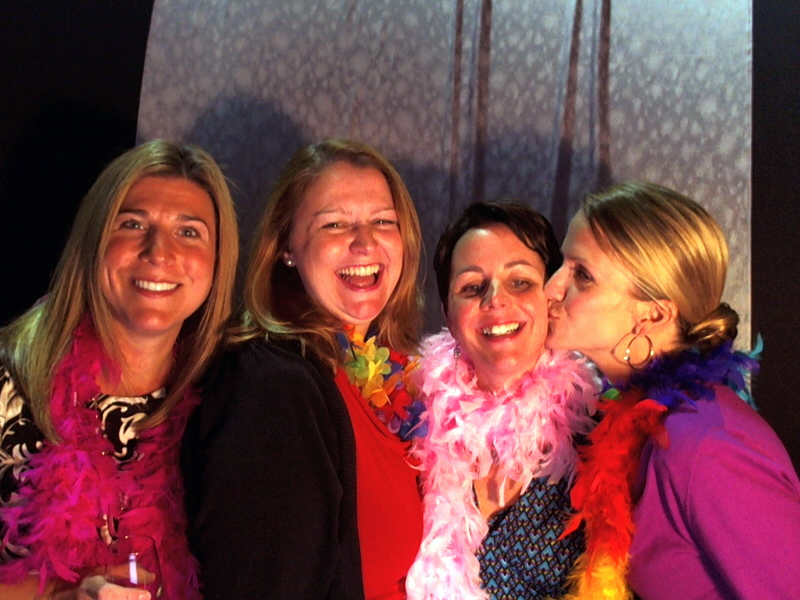 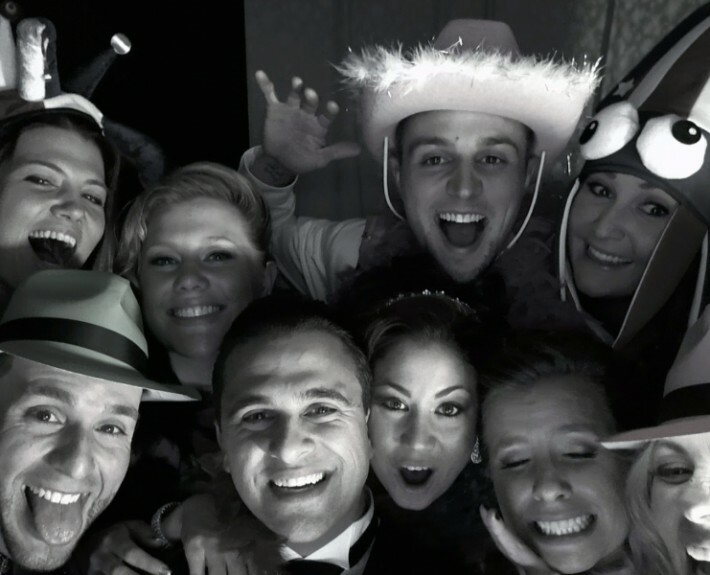 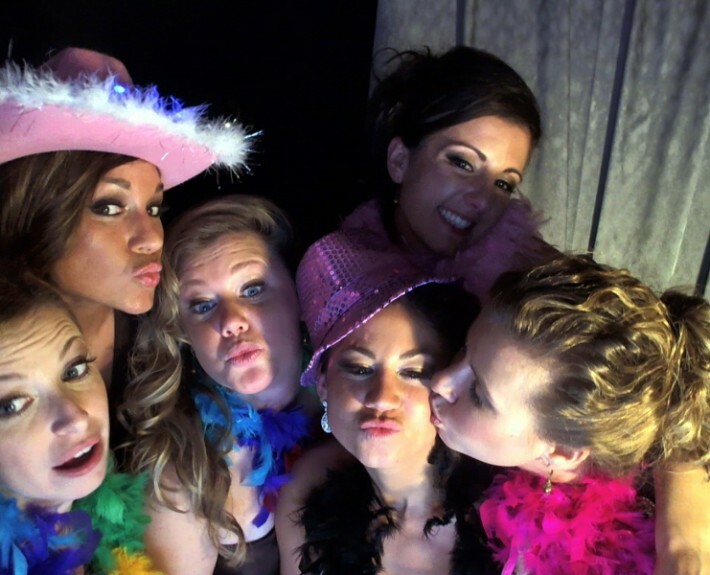 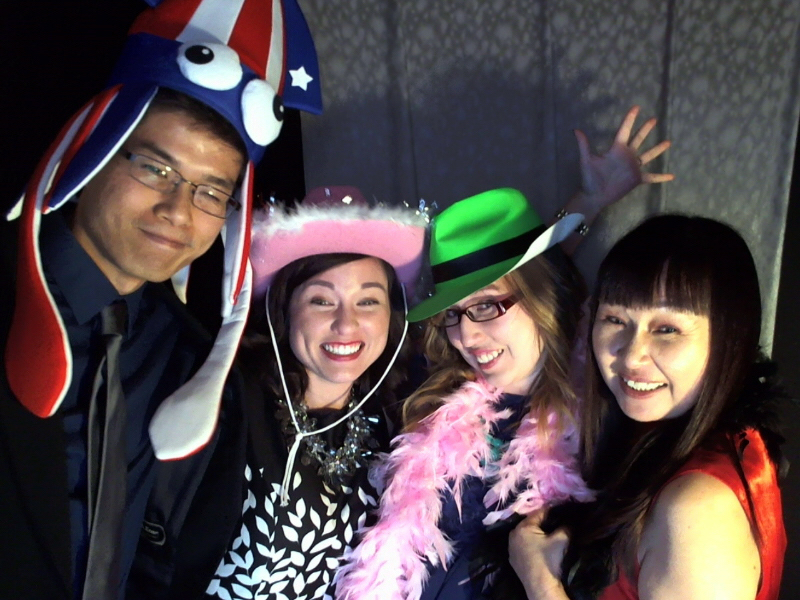 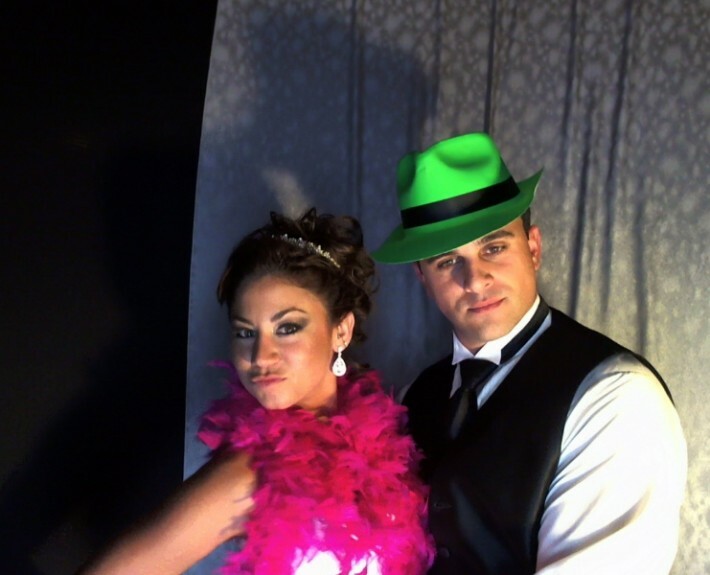 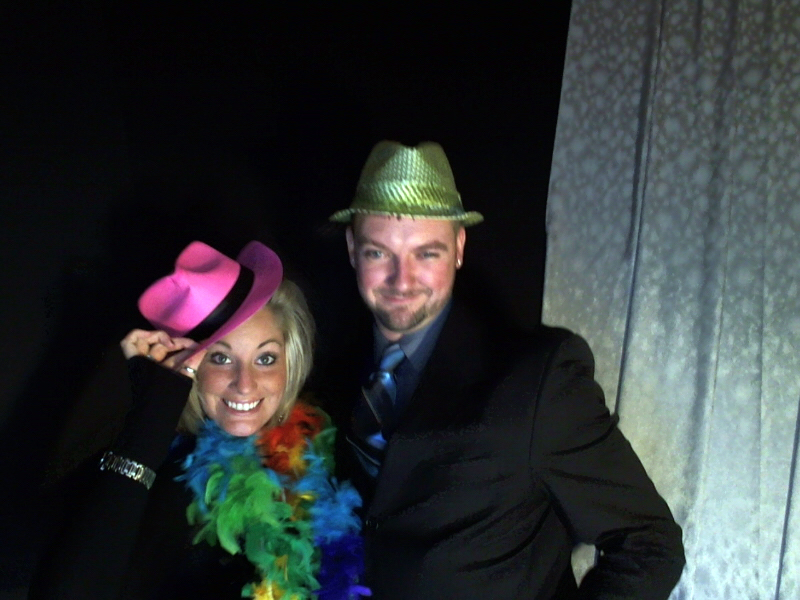 Our digital photo booth is a great way to break the ice and include your guests in the celebration at any event. 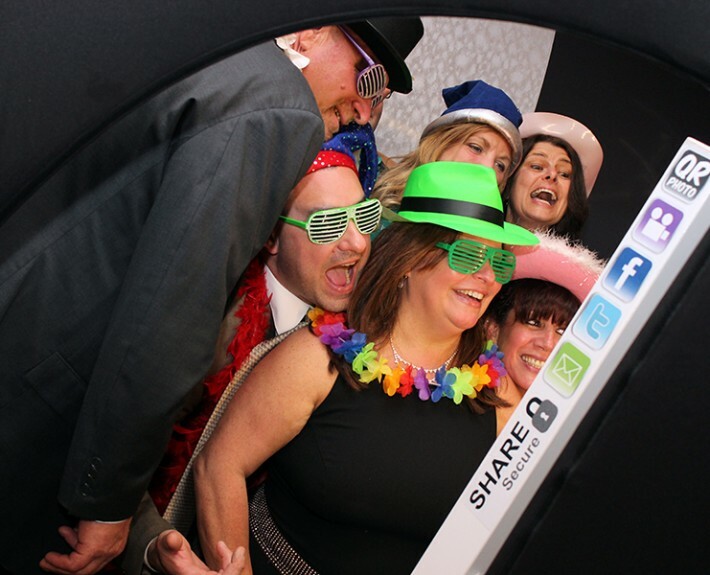 It creates camaraderie and excitement among your guests, while capturing all of the fun (and sometimes wild) candid moments. 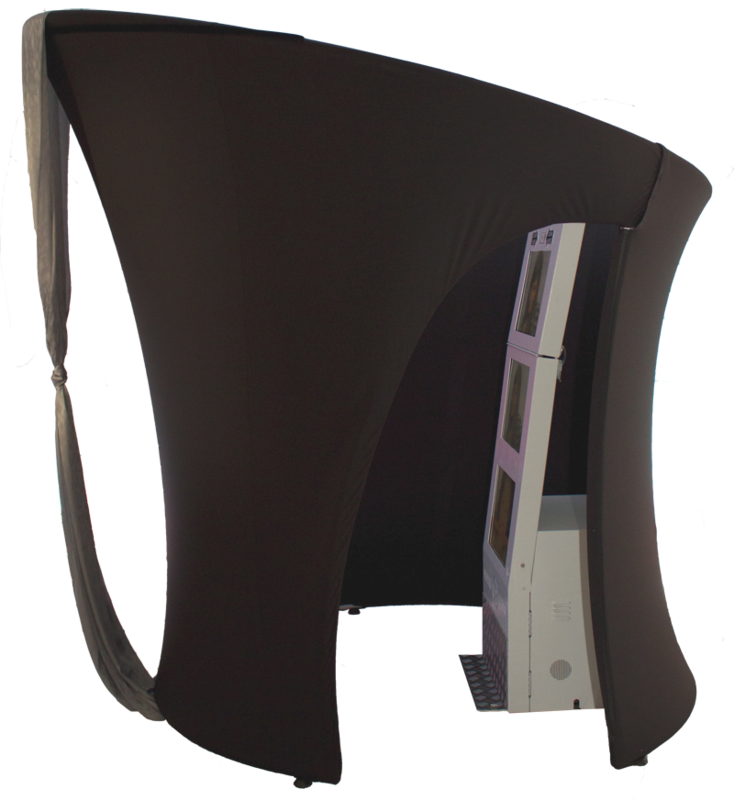 Innovative touch screen controls on 4 impressive 19″ LCD screens simulating a film strip itself. 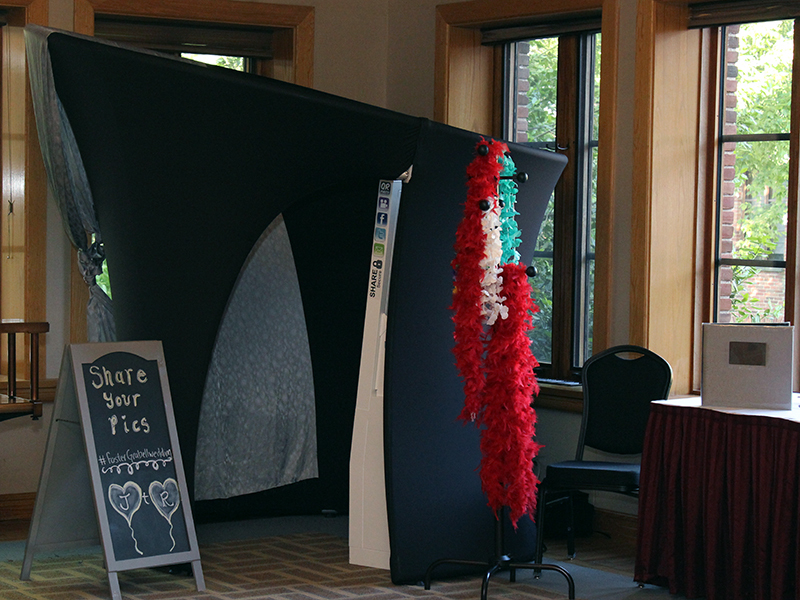 Modern and attractive booth that looks great and accommodates up to 6 people at a time. 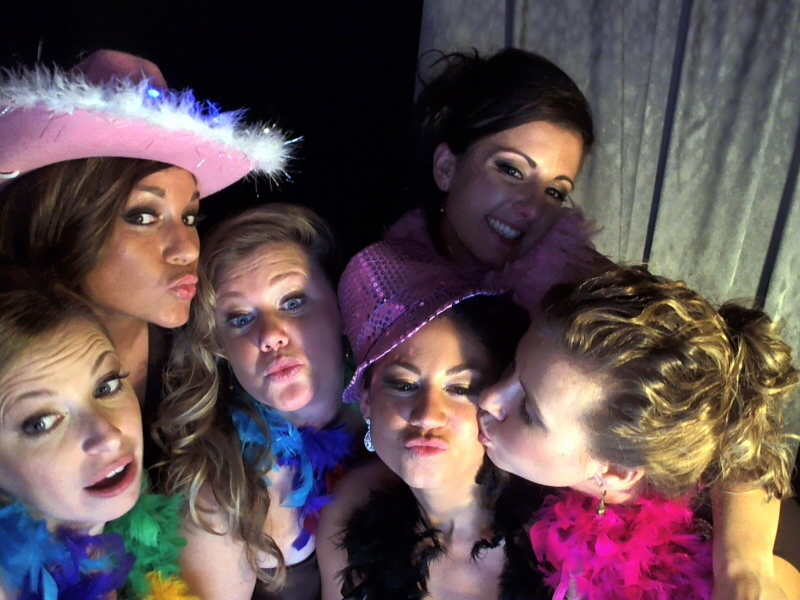 Video message options are included with all video messages and provided on a DVD after the party. 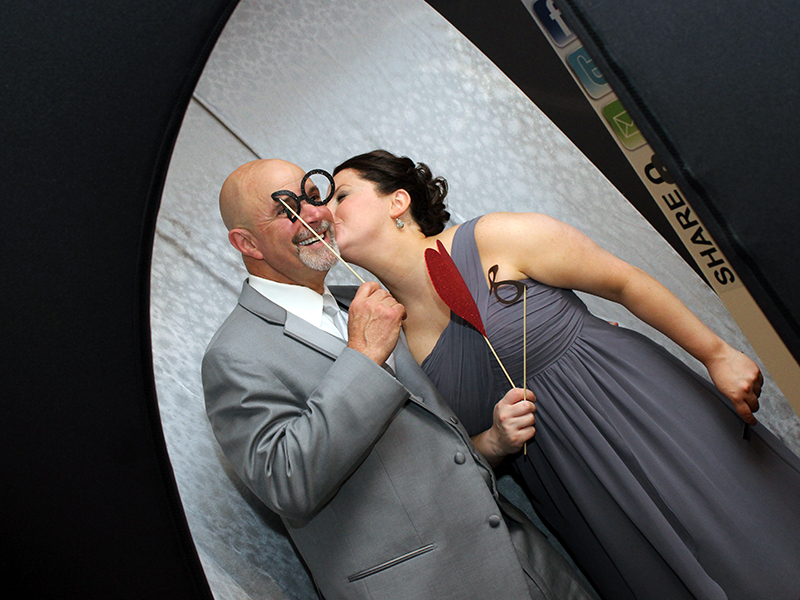 Choose from black & white or full-color film strips. 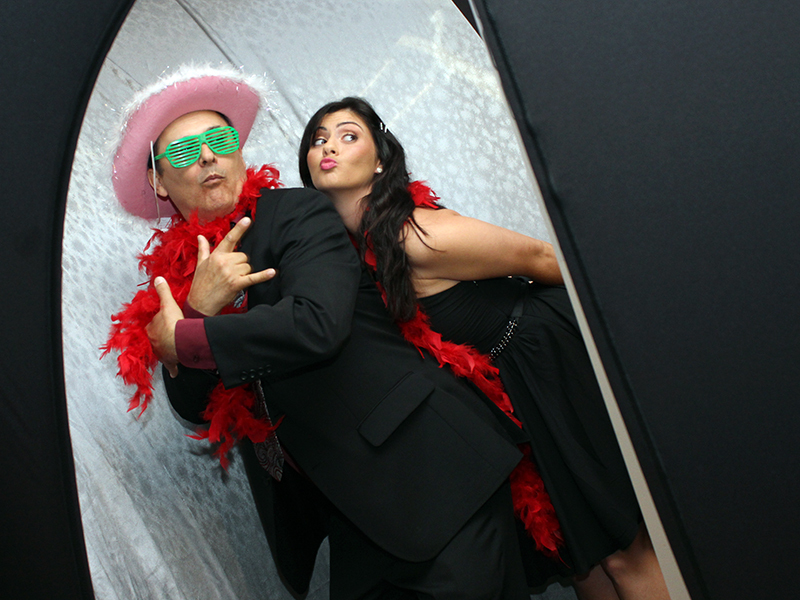 Add funny frames, wigs, hairstyles, and even street art to your photos. 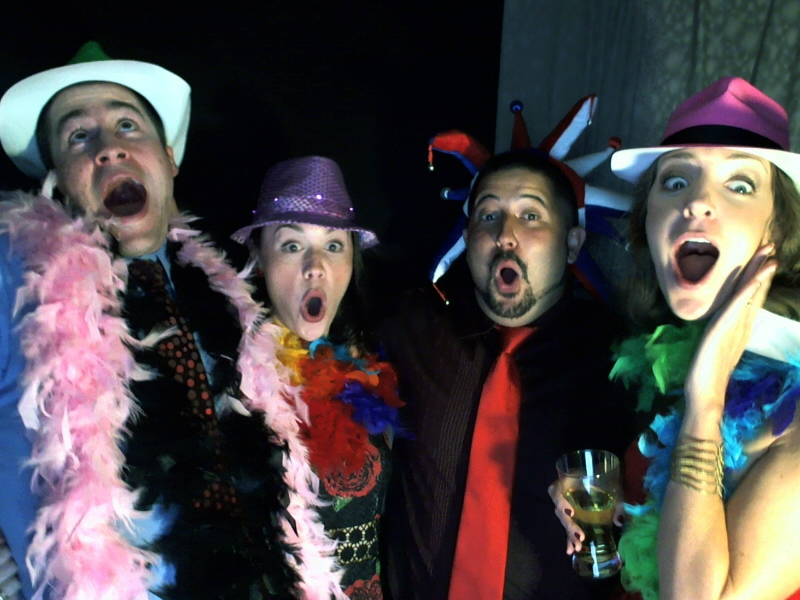 A Mitsubishi photo-lab quality printer with top of the line paper. Assortment of fun props, wigs, hats, and sunglasses for your guests. 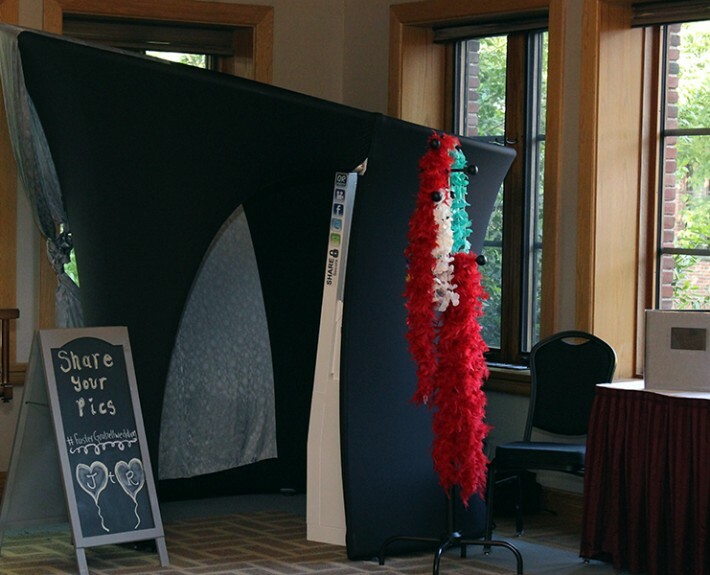 An attendant to assist guests in creating photo albums and keeping props organized.